In 1863, Oswald Roth began making and exporting cheese in Uster, Switzerland. A generation later, Oswald's son, Otto, left Switzerland for New York, setting up shop as an importer of Swiss cheeses. 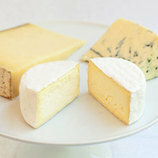 Over the years, the company built its business in the U.S. and, in 1991, began making its own European-style cheeses in Green County, Wisconsin, a part of the state known locally as "Little Switzerland." 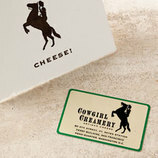 The company sources its milk from family farms located within 60 miles of the creamery. 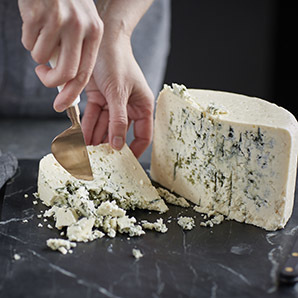 The curds of this raw milk blue cheese, made from both Holstein and Jersey milk, are hooped by hand. The wheels are then pierced and salted and carefully cured for a minimum of six months. A denser cheese with a peppery note, it pairs well with Port, Cabernet Sauvignon or Amarone. 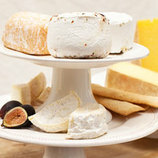 Crumble on salads or spread on crostini and eat with dried fruit.